Eight years ago Lisa broke her right ankle and it never healed properly, causing chronic ankle instability that prevented her from doing things she enjoyed like hiking in the mountains where terrain can be challenging at times. She said there was always a fear that she would roll it because it would always buckle so easily. On June 1, 2017 she had Brostrom surgery to repair the ligaments on the outer (“lateral”) side of her ankle to help regain full function. The recovery time for the procedure varies according to the patient but usually takes a minimum of 3–6 months. Lisa’s doctor told her that she would need to be off of work for 6 weeks, with 2 weeks minimum of being non-weight bearing. As an early Kickstarter backer of Excy, Lisa has been working hard to maintain her weight loss with Excy and her physical trainer who incorporates running, cycling, and TRX-bands into her training. She’s been with her trainer for one year and was nervous to have the Brostrom surgery because she didn’t want to lose ground in how far she had come to lose 24 pounds over the last year. With standard protocol for Brostrom surgery recovery calling for exercises like toe curls, toe extensions, toe spreads, and hip and knee strengthening exercises for the first three weeks after surgery, Lisa felt those three weeks without cardio and strength training would derail her fitness habits where one week off could snowball into three, then five, and then 10. 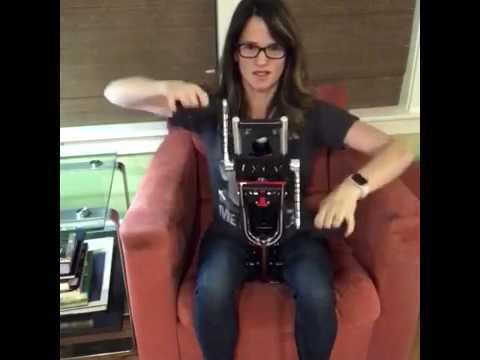 To avoid stopping exercising completely after Brostrom surgery, Lisa sent us an email asking for a few tips on using Excy as an Upper Body Ergometer (which we have provided below for her to review with her physical therapist and doctor). 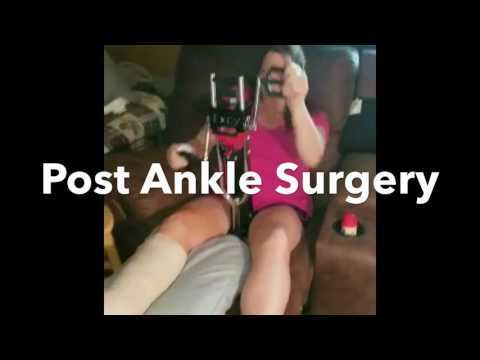 On day 3 after surgery, you will see in the above video that Lisa was immediately able to focus on staying active post surgery, even with a cast on and from the comfort of her own bed or couch. While non-weight bearing, Lisa exclusively focused on using Excy for arm cycling 20 minutes at least once a day but occasionally twice a day! During this time, she was working hard enough to sweat in bed while hand cycling. In week three, she was able to start putting some weight on her leg and her personal trainer created a routine for her that she could do in her garage. So, during the day, she would continue her Excy arm cycling for 20 minutes and then do yoga, stretching, balancing exercises, ab exercises and utilizing small 5-8lb hand weights for arms with her personal trainer. Lisa’s doctor has been shocked at how quickly she was able to bounce back from the Brostrom operation. Not only does she feel great that surgery didn’t set back her weight loss goals, she’s been able to lose another 12 pounds after the surgery which she credits to using Excy as an upper body cycle, as well as her routine with her personal trainer. Prior to her surgery, she primarily used Excy as a recumbent exercise bike to cycle her legs from her couch, which she is now getting back to for light stationary cycling and a slow cadence until she’s ready to crank up the resistance again, But, Lisa is also enjoying having toned triceps and biceps and will continue to incorporate Excy hand cycling into her ongoing training efforts where she is working with her physical therapist and trainer for careful observations and ongoing assessments to dictate progress. Whether you have lower-body limitations, are confined to a wheelchair, or just want an amazing workout, a study published in the October 2010 issue of the “Journal of Strength and Conditioning Research” found that arm cranking is as effective as a bicycling ergometer. 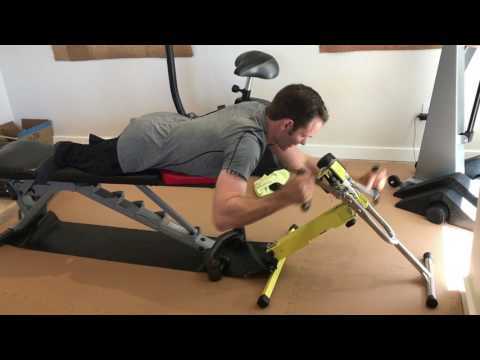 With Excy, you can stand, sit, or use leg movements such as lifts, squats and heel raises as you arm cycle to increase the intensity of the workout and crank the resistance levels for optimal results. It’s also a great way to build cardio and tone muscles as we age. You can also explore using Excy with your physical therapist as an exercise bike when you’re ready! Always consult a doctor before starting a new exercise routine, especially if you are recovering from an injury or surgery or having a medical diagnosis.